New poster... be easy please. 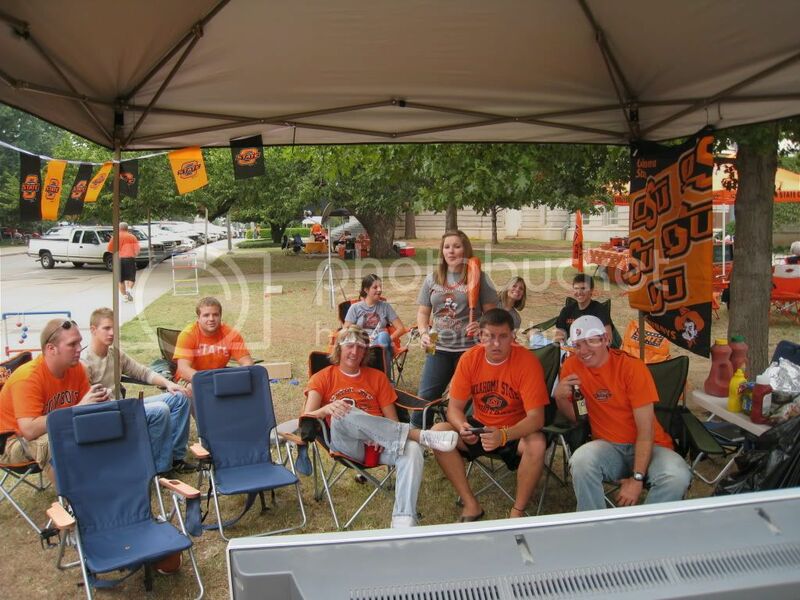 This was our tailgate on 9-6-2008, granted its against Houston, but look how empty the area is behind us (This is in between Morrill and the Bartlett Center where it is now always very crowded). Go Pokes! How far we've come- I remember going to Tech 11 years ago and being beaten 56-0. Now look! Welcome to the board PokeinGore! You're so right, the tailgating scene on campus is incredible now. In a few short years it has come a LONG ways. Welcome! if you know Stan Sheffield or Steve Sloan, tell them Sokodad says "hey". And tell them that, if they were true Farmers, their sons wouldn't have gone SAE. But please don't mention that my son went Snake. Ha... will do. I went to Steve's Sons wedding last night!